* It takes about 48 hours to make Radish Solid Extract. Old remedy for a cold, congestion and mucus. 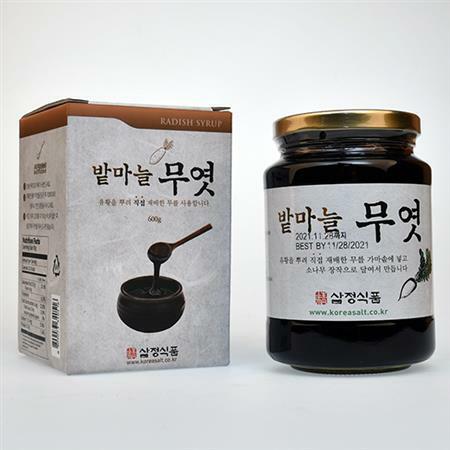 * Take 1 spoon of Radish Solid Extract 3~4 times a day, 30 minutes after meal and before sleeping. * You can enjoy it with hot water or ginger licorice tea for taste.